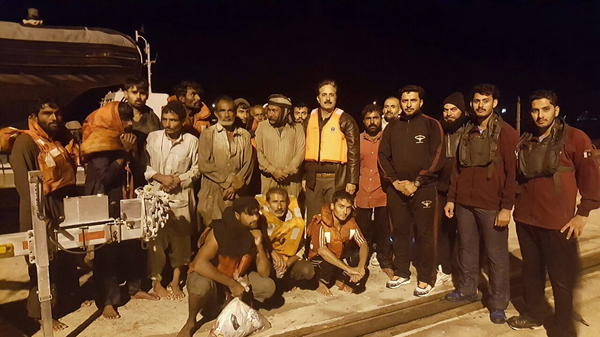 18 fishermen from a fishing boat in distress near Ormara Coast. winds and extremely poor visibility throughout the operation. the search & rescue operation on-board the rescue craft.